Welcome to the 2nd edition of the ‘new look’ Sword Buyers Digest. Like last issue, it is a little rushed due to my rather ridiculously busy workload, but hopefully you will enjoy it never-the-less! First off, thanks to everyone who warmly welcomed the new format for the digest! I had a very small number of people who unsubscribed because they said the new format was ‘too personal’. But the vast majority of people who wrote me said they really enjoyed that ‘personal touch’ – so the less ‘official’ and more ‘casual’ tone of the digest is here to stay! So with this in mind, I should probably admit that last month was probably the busiest month for me to date – I’ve been burning the candles at both ends AND in the middle. Then again I am living in Japan at the moment, and if you know anything about the Japanese, throwing the candle into a furnace is just business as usual, so I’m in the right place for it! Sure enough, there was the usual heavy coat of glamour and fantasy as to be expected whenever the theme of Ninjitsu is presented to the general public. 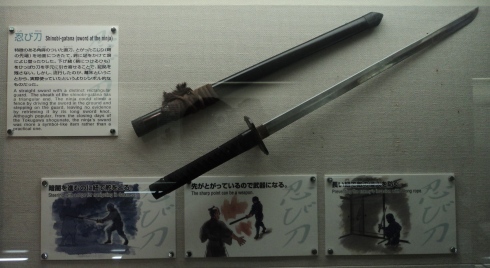 And of course, they had a modern repro of a so called ‘Ninjato’ on display in their museum – because to the best of my knowledge, an antique one has never been found.. However, there was something about this place that has really sparked my interest in the Ninja – I really want to get to the bottom of what it was all about from a historical perspective, because when you check out the museums official website, it does suggest that the Iga clan was indeed very real and required Oda Nobunaga to send in 50,000 troops to break their stronghold on the area (the local warlord who tried to get them to join the fold of the Shogunate was unable to make headway as this clan, who WERE historically hired for their skills in espionage, infiltration and information gathering were also highly skilled guerrilla warfare tacticians). Anyway, apart from this diversionary trip I have been flat out trying to get batch 16 of the SBG custom Katana wrapped up properly before I open up on batch 17, plus deal with a mountain of emails that need to be addressed (as anyone who works more than one full time job will know, it’s pretty hard to keep on top of things in this kind of situation!). 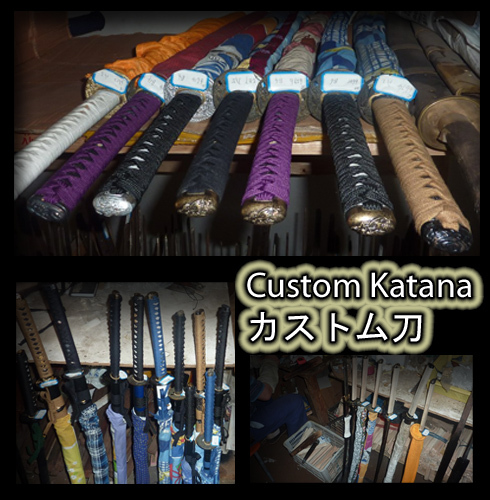 But the good news is that I am pretty close to getting everything sorted out, so if you have been waiting for delivery of a batch 16 Katana (many have already been received) or waiting for batch 17 to open, it should all happen in the first week of the month, so click on the pic below to be taken to the custom Katana page and sign up to the waiting list to be notified on exactly when it will all happen. This is something that I eventually hope to do myself while I am in Japan.. 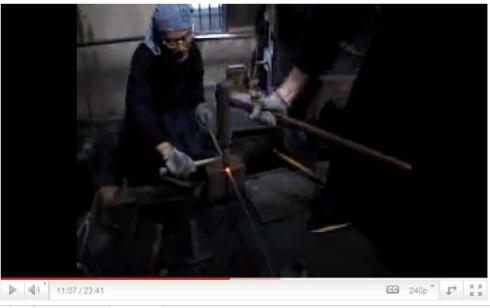 The video, called the Kozuka Koubo report, features sword maker Paul Martin during a trip to Japan in Adachi Ku (near Tokyo) being guided through the entire process of forging a small Japanese blade from scratch! SORRY - VIDEO HAS BEEN REMOVED. Lovers of medieval swords will be pleased to know that not only is the ‘back by popular demand’ Oakeshott Type XVIII sword back in stock, but it’s also on sale here at Kult of Athena! for just $249.95! 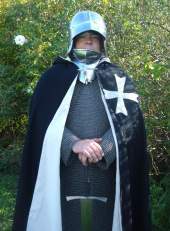 Plus you can also find my personal favourite medieval sword, the Windlass European sword brought back after a 4 year hiatus due to my constant nagging of Windlass here at Kult of Athena! for just $159.95! Now that is a SERIOUS bargain, get it sharpened and let the cutting fun begin! 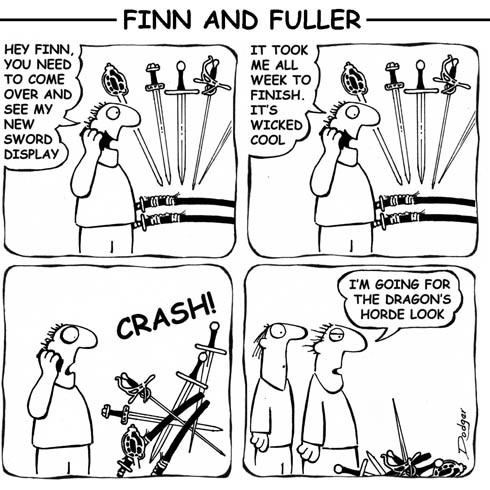 This is a bit of a ‘blast from the past’ too really, because I remember when I was first starting SBG there was only one other website out there that had any real tips for beginner sword collectors, a simple site that hasn’t been updated since 2004 I think that you can see for yourself here: ‘Swords: By Stephen R Marsh’ One of its recommendations for a beater sword was the white knight sword by Armaduras Medievales. And while times have changed, this sword hasn’t – it still remains good value at just $119.95 here at Kult of Athena which isn’t bad for a Spanish made carbon steel blade..! Well, that’s it for this issue – need to get back to finalizing batch 16 of the custom Katana and preparing for batch 17, plus have several hundred emails that I classified as ‘non urgent’ that my reply will be somewhat embarrassingly late for so I had better sign off and get straight into it!